Seagull is a fresh, clean & feature rich joomla template. Highly recommended for any kind of Hotel/ Resort website. 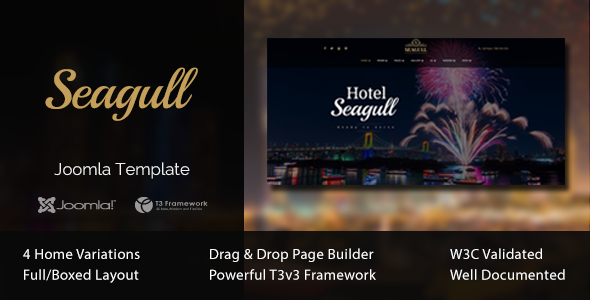 Seagull comes with best joomla drag n drop page builder pro, so no coding skill required. The layout looks beautiful at any size, be it a laptop screen, iPad, iPhone, Android Mobile or tablets.